People assume I’ve always been comfortable presenting to an audience. They think I’m a natural. When I was young, I was painfully shy. I almost developed an ulcer because I was so worried about public speaking. My sister was an extravert and always taking part in competitions that required taking to the stage. Not to be outdone, I’d also volunteer. She’d come first. I’d come last. Then, aged 40, everything changed. I was struck down with an illness. For therapy, I’d draw mandalas. It became a crucial part of my recovery and something I wanted to share with others. I’d talk at hospitals and the reaction was amazing. People would tell me how much I’d inspired them. Thus, began my journey of discovery. I consumed all the research I could on presenting. I’d listen to famous speakers and do my own talks. With each talk, my fear diminished. 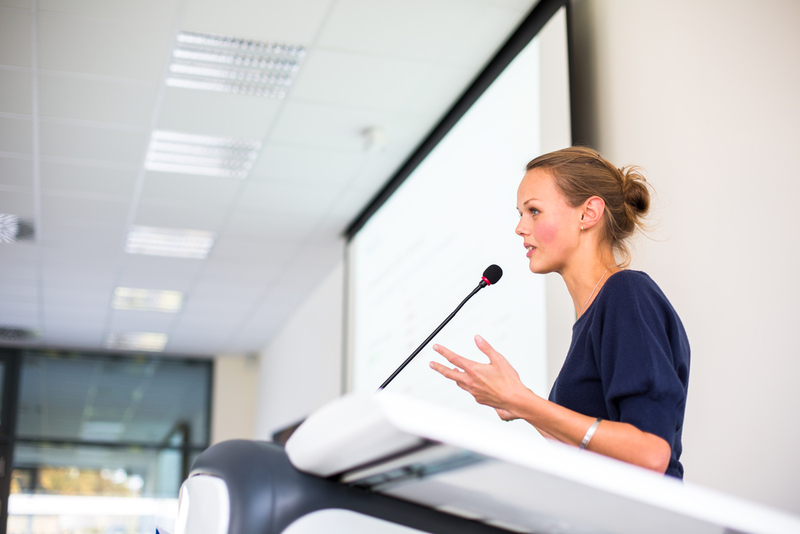 I realised public speaking is not a birthright. It’s a skill anyone can master. Over time, I’ve found ways to collapse what I’ve learnt and teach it in a way people can grasp quickly. Becoming a good speaker doesn’t have to take time or be painful. Certainly, not everyone will be Anthony Robbins. But we can each find our authentic voice and with it the power to communicate our vision, so it becomes a reality.